Thank you for contacting the National Cyber Exchange. Your Membership Inquiry has been emailed to a represenative and you will be receiving a response email back within 24-48 hours ! For a "Quick Inquiry" you can click on the Contact Form Text Link at the right to open up a contact form to send us a general inquiry email. A representative of NCX will respond to your inquiry within 24-48 hours. 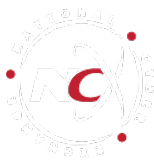 Or, if you are interested in getting more specific information about one of our unique NCX Membership Programs, (NCX|CyberCitizen or NCX|CyberExecutive), you can click the Request Information Button Below to open up our more detailed form. Thanks again for your interest and support of the NCX !